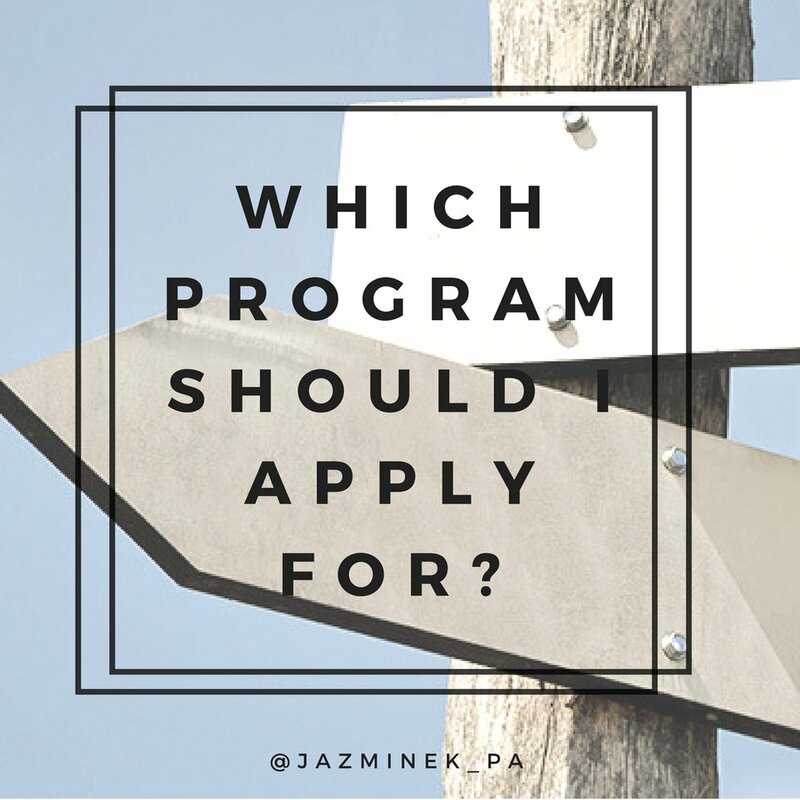 JazmineK_PA — Which Program Should I Apply For? There are so many PA programs in the US now ~ Which ones should you apply for? *New programs with 'Provisional Accreditation' status when you matriculate : you will still be able to take the PANCE at the end of your program. So don’t be afraid to apply to new programs! I wanted to stay in California and decided to apply to most of the programs here. I also applied to Oregon, Arizona, North Carolina, Colorado and Louisiana. I didn’t take O-chem so my choices narrowed immensely! I applied to programs that have a long standing reputation and great PANCE pass rates. Another dealbreaker was location and length of rotations. I researched, called the program and reached out to their students to understand the quality of their clinicals. My third cycle, I applied to: Touro Vallejo, Loma Linda University, USC, WesternU, SCUHS (Whittier), UC Davis, Oregan Health Science, Northern Arizona, University of Colorado, Duke, Tufts, and Louisiana State. If you’re close to the program you’re applying to, sign up to attend their information sessions. Some schools look highly upon applicants that attend their in-person events :) Also, ask those programs if they allow applicants to Audit a Class (you’ll be able to sit in on a PA class!) For people interested, USC and WesternU in Southern California allows applicants to Audit Classes! Give them a call! I sat in a gerontology class at WesternU and a cardio class at USC!